After Ponyo, Miyazaki told the staff his plan to create two films in three years and that he would take planning responsibility (preparing a project proposal paper, forming the staff, and writing a script). 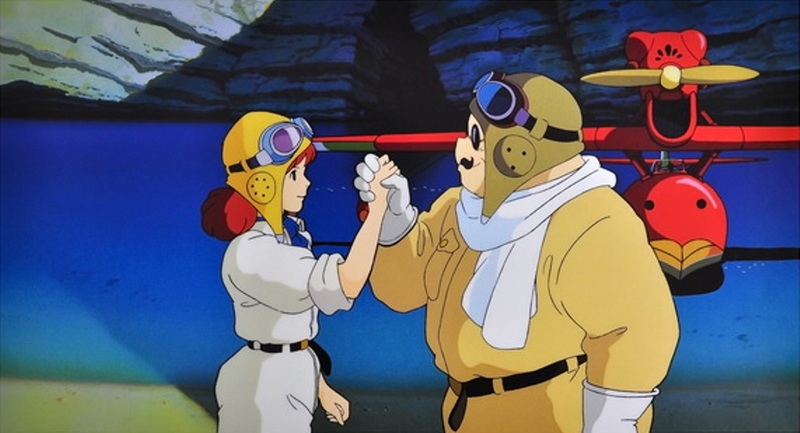 "If two rookie directors, though one is not a true rookie, become good, they becomes a valuable property for Ghibli. Though Suzuki-san says, "You make a film after them." If Maro makes a (second) film, Ghibli will be more stable." "Suzuki-san is making a dissolution program for Ghibli. No joke, we talked about it the other day." This dissolution program changes if Arrietty succeeds. "For example, Ghibli should be able to continue with about five staff members as a copyright management company even if we smash the studio. So, Ghibli can say 'We stop film production. Goodbye'. I do not have to be there." "Though I don't know how it will be, I'd like to create a more positive boy (than Sho) in the next movie what we are preparing now. Though the leading character is a girl again." "I wrote two scripts in two years." Miyazaki is always thinking about a tragic story of a boy. However, he wants to escape to "Porco Rosso: The Last Sortie" because a tragic boy's story is very difficult. Miyazaki says, "But it (Porco) is not connected in the future." "When I read James Joyce's Dubliners, I think the boys are not blessed. (laughs) I can really understand how literature of the 20th century captured the tragic characteristics of boys." (about Miyazak's next film) "I'm not thinking about a movie of a girl. I think that I must think about only a movie of a boy." "I do not need to make a movie if it is not a tragic story of a boy." "So I want to escape to "Porco Rosso: The Last Sortie". I have all its materials." "It is set for Spanish Civil War." "If next two films succeed and Suzuki-san lets me make it (Porco) while saying, 'It cannot be helped because it's a hobby of the old man', I'm happy. It's my hobby." "I had thought about the possibility of "Porco Rosso: The Last Sortie" in the morning. But before Shibuya-san (the interviewer) come here, I thought 'It's not good after all, It's just my hobby.'"